Researchers at the University of Florida have played an integral role in the vaccine trial’s execution, finding that it is 100 percent effective at preventing Ebola when given 10 or more days prior to exposure to the deadly virus. The study findings were published today (Dec. 22) in The Lancet. “The goal was to estimate the vaccine efficacy from a phase III randomized vaccine trial,” said Ira Longini, a professor in the department of biostatistics at the UF College of Public Health and Health Professions and the College of Medicine and director of the UF Center for Statistics and Quantitative Infectious Diseases. The 2014 Ebola virus outbreak was by far the largest and most lethal Ebola outbreak ever recorded. Transmission occurred primarily in three West African countries: Liberia, Sierra Leone, and Guinea. According to the Centers for Disease Control and Prevention, the virus infected nearly 29,000 people in the region, with more than 11,000 deaths occurring due to the disease. Longini, who is also a member of UF’s Emerging Pathogens Institute, was a key figure in the design of the Ebola vaccine trial and the analysis of its statistical data. The trial was called “Ebola ça suffit!” and it was the first successful phase III trial for an Ebola vaccine. Having successfully completed phase III indicates it has been tested on hundreds of subjects and proven both safe and effective. Natalie Dean, a postdoctoral researcher in the department of biostatistics, worked with Longini on both the design and analysis of the vaccine trial. Trial participants were organized into 117 clusters, of which 70 clusters received the vaccine immediately and 47 clusters received it 21 days later. Disease takes several days – even weeks – to develop following Ebola infection, yet there were zero cases among vaccines more than 10 days after any cluster received the vaccination. Those in immediately vaccinated clusters who were not vaccinated still received protection, thanks to the trial design – known as a “ring vaccination” trial. This type of trial creates clusters around contacts of people who have contracted the pathogen, as well as contacts of contacts, since these people are at a higher risk of contracting disease. Since the immediately vaccinated participants reduced the number of infections, those ineligible for vaccination within immediate clusters benefitted from herd immunity. According to the report, vaccinating only 52.1 percent of the participants was still 70.1 percent effective in preventing the spread of Ebola. 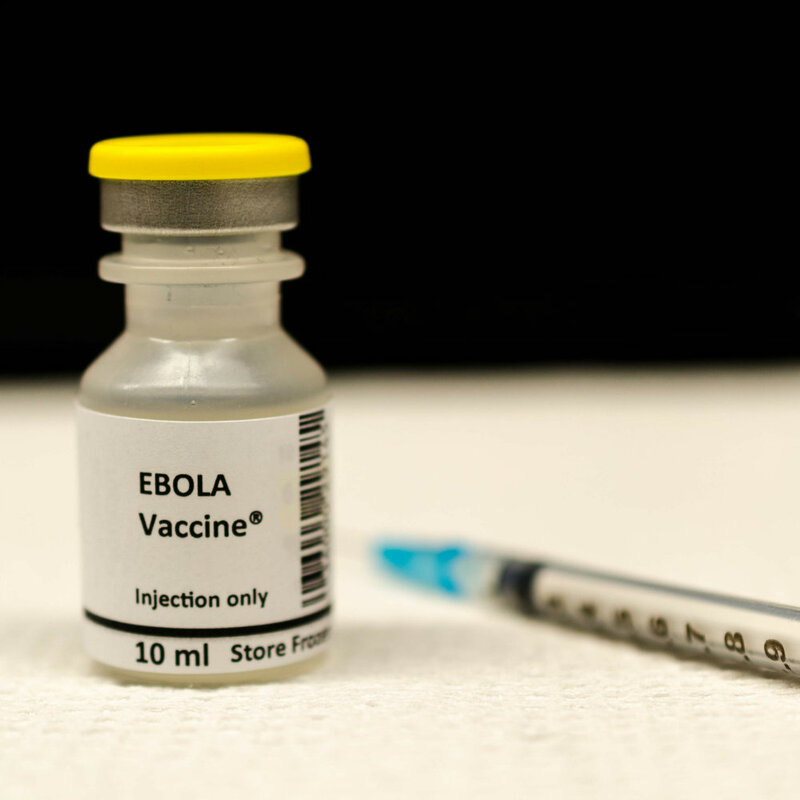 The Ebola vaccine – rVSV-ZEBOV – is not available for sale. The WHO has collected a stockpile as a safeguard, just in case another Ebola outbreak occurs.